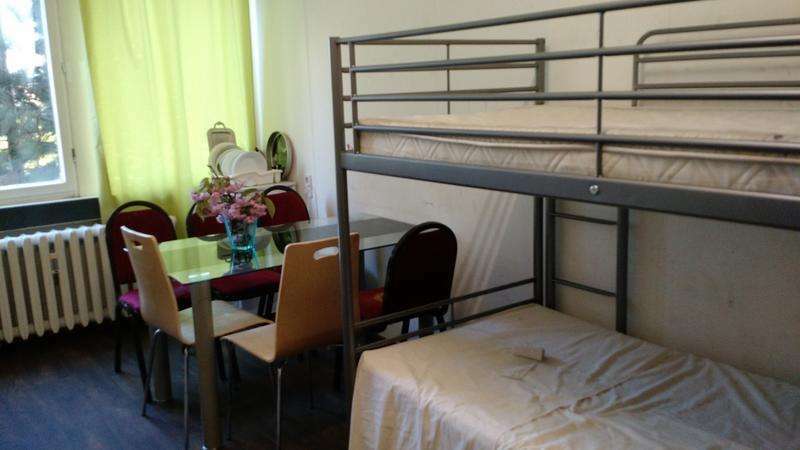 Berlin Hostel - your place for cheap beds in East Berlin. Our building is in this famous style of soviet brutalism, also the street name reminds you to glorious past when cosmonauts were heroes. 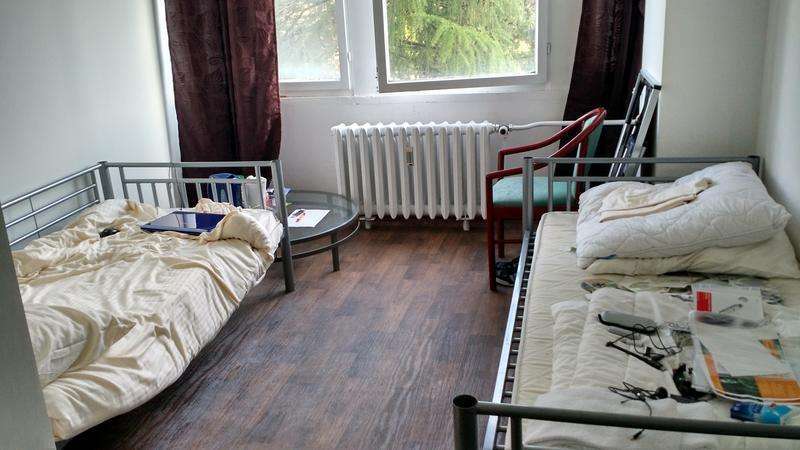 Berlin Hostel is situated in Marzahn district of Berlin, just 20 minutes away from Alexanderplatz and Museum Island. We offer mostly dorms, mixed and female only, some twins, all with shared facilities. All dorms have bunks. 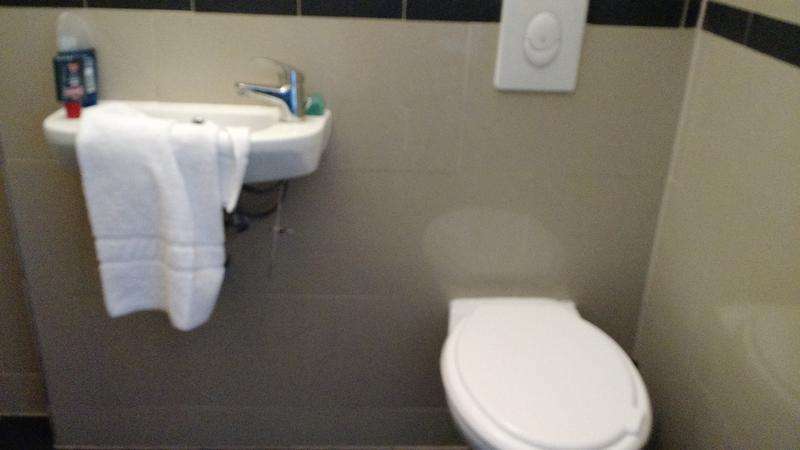 More convenient are our private twins coming with restroom and shower. A small kitchen is available for you, cheap supermarkets (Aldi and Lidl) are next door. Grab some food and have a BBQ in our wide meadow. From Airport Tegel TXL take local bus TXL to station Beusselstr., then change to S-Bahn S41(direction clockwise) to station Landsberger Allee, then change to tramway M8 (eastbound) to station Beilsteiner Str. and find the Hostel at house number 32A. S-Bahn S9 to station Landsberger Allee, then change to tramway M8 (eastbound) to station Beilsteiner Str. and find the Hostel at house number 32A. From Main Central Station Hbf take S-Bahn S7 or S75 (westbound) to station Springpfuhl, then walk (5 min) eastbound and find the Hostel at house number 32A. From Central Bus Station ZOB walk to train station Messe Nord/ICC (3 min) and take S-Bahn S41(direction clockwise) to station Landsberger Allee, then change to tramway M8 (eastbound) to station Beilsteiner Str. and find the Hostel at house number 32A. Our address is Berlin Hostel, Allee der Kosmonauten 32A, 12681 Berlin, Germany. Tramway station is 'Beilsteiner Str. ', train station (S-Bahn) is 'Sprinfǵpfuhl'. Guests can cancel their reservation free of charge up to 2 days before arrival (COB is at 1800 local time). Deposits paid are non refundable. Cancellation one day before arrival will be charged with 100% for the first night. Cancellation at same day or No Show will be charged with 100% for the first 2 nights. No liability for values, there is one mini safe only. Underaged have to be attended by a reasonable number of legal guardians. Groups with 8+ people on request only. The group is jointly and severally liable. In case of gross defilement we charge cleaning fees. International money transfer fees to be paid by the group. All groups have to pay a damage deposit of EUR 50.- per person at the moment of check in. Refundable after check out.